Long before modern sport-utility vehicles became a fad, the Jeep Grand Cherokee was busy lording over tough terrain. During the early years, the Jeep Grand Cherokee wasn’t too dissimilar from the tinier Jeep Cherokee. From the outside, it seems the developers were intent on making a multi-purpose car. Indeed, the reworked model is spacious enough for a family setup, robust enough to tackle off-road trails, and gracious enough to tour the cityscapes. Today, the Jeep Grand Cherokee espouses all the qualities people love when it comes to SUVs. It perfectly blends refinement and luxury. That said, it’s a bit hard to find the perfect tires to complement the on-road and off-road versatility. Ideally, you’ll need to find tires that are tough enough to bear the weight of the vehicle. At the same time, the tires will have to provide sufficient support to allow the vehicle to perform towing and off-roading activities. Importantly, the tires should be quiet enough to provide that graceful feel behind the wheel as you cruise through highways. In our breakdown today, we’ll be looking to provide insights on which tires perfectly complement the Jeep Grand Cherokee. Before we dig deep, a little perspective is always important. The number one consideration you should have when buying new tires is the purpose they’re supposed to serve. You need to establish what are the conditions like on your favorite trails and where else you plan on going. With that in mind, it becomes quite easy to cherry-pick the right tire for your vehicle. If you’re vehicle enthusiast running the stock Jeep Grand Cherokee, you have a choice to make between all-terrain tires and performance touring tires. All-terrain (A/T) tires usually bolster the Jeep Grand Cherokee’s off-road and on-road capabilities. On the other hand, performance touring tires are also a great fit for those who fancy smooth highways than the great outdoors. While AT tires offer great traction when off-roading, they also function just as impressively on paved roads. Still, you need to remember that there are some AT tires which are aggressively built. Such models sacrifice some qualities that would make them ideal for on-roading. In light of this, you need to carefully inspect which tires you pick if you’re looking to enjoy the best of both worlds. If you happen to own a bespoke version of the Jeep Grand Cherokee, then, your options are different. In most scenarios, many drivers tend to customize the Jeep Grand Cherokee for extreme off-roading. For that class of individuals, then the best fit is the mud tire or the hybrid mud tire. Hybrid mud tires are quite different from other times. This is because they mesh the extreme qualities of mud tires with a dash of refined all-terrain tires. These tires usually have large, chunky treads which enhance grip on the road. They also make it easier for you to navigate through squishy surfaces. The large gaps in mud tires also allow for quick mud clearance between the lugs. While mud terrain (MT) tires are convenient in rainy situations, they are quite noisy. To drown out the noise, we’d recommend blasting some music on the stereo. If you’re looking to drive through boulders, it’s great to have tires that are fitted with large side lugs. It also wouldn’t hurt for the tires you pick to have decent flex because this ensures ideal air down performance. Since rock crawling adventures are somewhat tricky, you can give yourself some extra ground clearance by choosing big tires. To prepare for any eventualities, make sure you have a well-stocked lift kit. If your locale happens to experience snowy conditions for a better part of the year, then winter tires are the way to go. Studded winter tires are the best choice during the cold season since they’ll allow you to face even the grisliest of conditions head-on. Beach parties are best served with some wide tires. For optimal operation, you have to air down the tires a little bit and try driving non-stop. Otherwise, you’ll require to call over a crew of people to get you out of the holes dug up by the tires. From the outside, the Michelin Defender LTX M/S looks like your run-of-the-mill tire. However, nothing could be further from the truth. 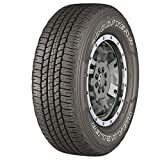 These tires are specially reinforced with an Evertread compound which enables the tires to last about 10% longer even in the most severe of conditions. The manufacturer assigns these tires the M/S designation which means that they are good for use on either mud or snow. Noticeably, these tires don’t seem to fit the bill from the looks perspective. Again, this may have to do with the manufacturer who has placed more emphasis on the need to offer superior wear life. Michelin seems to have outdone themselves in this regard since they perfectly blend both durability and comfort. Eco-friendly tire. You can realize savings of about 65 gallons of fuel quantity during the tire’s lifetime. The MaxTouch Construction of the tires ensures that you are able to experience better braking, improved fuel economy, durability, and excellent comfort levels on paved roads. Essentially, this low rolling resistance technology is there to give you a sense of bliss when driving. The Michelin Defender LTX M/S is available for purchase on both 16” and 20” diameters. You’re guaranteed A 70,000-mile treadwear warranty. This tire stretches the limits of the imagination. Having been classified by Goodyear as an all-season all-terrain tire, it’s safe to say that it can do it all. Deservedly, Goodyear Wrangler Fortitude HT has been getting plenty of plaudits from critics. This may have something to do with the fact that the Wrangler family of Goodyear tires are specifically made for operation in contemporary crossovers and SUVs. Then again, it could also have something to do with the fact that they are designed to deliver great durability. Once you also factor in the fantastic comfort levels on offer, you get sold onto the idea that these may just be the best tires ever created. Relentless traction on snowy, icy, and wet surfaces. Comes with a stylish sidewall that gives off a pleasantly menacing rugged look. It perfectly meshes with whatever environment you’re driving in, be it the city or the great outdoors. 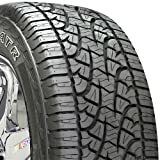 Has an enhanced tread design to offer all-season traction and grip. Just the perfect ingredients you need for a quiet trip to your destination. The construction uses a ground-breaking technology which makes the tread compound offer lower resistance when driving. Specially optimized to ensure that CO2 emissions are at a minimum whilst guaranteeing that fuel savings are registered. Fully equipped with circumferential grooves and deep-lying sipes to boost traction and grip on the road. This makes it easy to journey to whatever terrain, be it mud, dirt, tarmac, or snow. You can purchase these tires as either 15” or 22” diameters. You are assured a 65,000-mile treadwear warranty after buying. The “Plus” connotation on this tire signifies the eco-friendly nature of this excellent all-season tire. Obviously, it is a step-up from the original version of the Dueler Alenza H/L. This performance touring tire is well designed to cope with the demands of contemporary high-performance and extravagant SUVs. The design is also specifically model to offer fabulous ride comfort, smooth ride, and to provide durability. Made with an optimized casing that features a wider footprint design to provide a great comfort level. This quality also ensures that rides on this tire are silent all through road surfaces. The tread pattern is well aligned to facilitate a quiet driving experience regardless of the terrain. Great performance on snowy and icy road surfaces. Offers excellent handling even on wet road conditions. You will find it quite easy to maneuver through curves when driving in these tires. Features an Everblack sidewall that prevents the effects of fading from taking full swing. The deluxe performance is perfectly complemented by an out of this world tread pattern. Make good use of an eco-friendly polymer tread compound made out of 5% recycled rubber to provide a seamless eco-friendly driving experience. 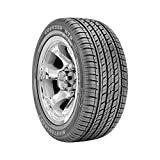 Considered by analysts as one of the best Jeep Grand Cherokee tires for highway use. Sold from 16” and 22” diameter sizes. Manufacturer guarantees a fantastic 80,000-mile treadwear warranty. This tire is quite unique. While it looks like it only offers brute force and control over any terrain, it does much more than that. The Pirelli Scorpion ATR is capable of providing plenty of comfort on paved roads. It also stands out because it is not prone to the effects of wear and tear when you compare it with other A/T tires. Has an M+S insignia engraved on the sidewall. This means that these tires are perfectly capable of tackling the harsh effects of mud and snow with relative ease. The fact that the Pirelli Scorpion ATR is capable of all this while still retaining retention of the refinement applied during construction as a touring tire makes it one of a kind. The sidewall region of the tire is specially reinforced to provide high-resistance to destruction when you’re out on off-roading excursions. Features curved central grooves for the easy dissipation of mud, water and slush from the treads. This quality ensures that the tire is always able to offer great traction even in the harshest of driving conditions. To further boost traction, the Pirelli Scorpion ATR is equipped with wide, rugged shoulder blocks. This also tends to improve other aspects of the tire like stability and braking. Highly rated among the best tires for Jeep Grand Cherokee when it comes to ranking both the off-roading and on-roading experience. The perfect way to end our list of best tires for Jeep Grand Cherokee. The Mastercraft Course HTR is a tire built to feel right at home in a number of different SUVs and sporty trucks that are made with plus fitment sizes. It perfectly compliments the newer versions of the Jeep Grand Cherokee that come with larger 18” and 20” wheels. Fitted with lateral traction sipes and wider grooves. This combination is there to guarantee that the tires provide enhanced traction in all-season driving. Specially engineered with an augmented pitch sequence that varies depending on the tire size. Because of this, noise is minimized when driving through paved highways. Rated M+S. This means that the Mastercraft Course HTR can comfortably cruise through snow and mud conditions. Has an all-season tread compound plus an asymmetric tread pattern that provides good traction when navigation through different terrain. Shoulder slots and larger tread blocks boost the handling stability and corner grip as you move through the gears. These tires offer smooth and quiet car rides. Has a rubber rim protector that spreads well beyond the rim flange. This act to protect the wheels from possible curb harm. Comes with an impressive 50,000-mile warranty. As is evident right now, there are so many options to choose from when it comes to selecting the best tire for Jeep Grand Cherokee. Having highlighted the different options to choose from, we’re certain we’ve played an important role in your search. If we had to choose a favorite tire from the mentioned tires, we’d probably go with the Michelin Defender LTX M/S. The reason why we’d back this tire over all the others has a lot to do with the fact that it offers great dynamism both on and off the road. That said, you need to always remember that the Jeep Grand Cherokee is built to be tough. You can take advantage of this durable quality by trying out different tires every time your existing tires get worn out. Our list should prove quite helpful in such situations.